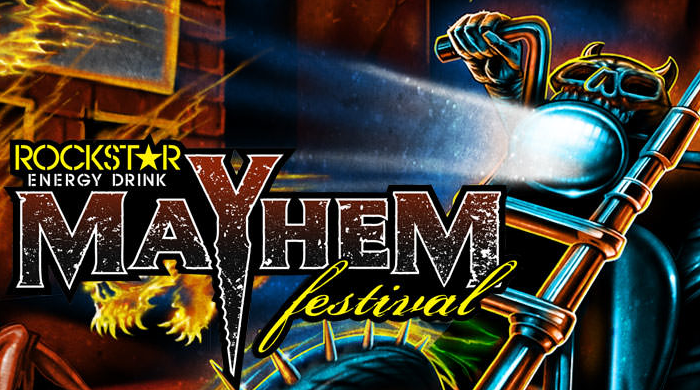 Additional acts will be added in place of Behemoth's spot on the Rockstar Energy Drink Mayhem Festival. Statement: Drummer Inferno undergoes surgery and unable to perform while he recovers. The band's frontman Nergal comments, "This must have been the most difficult decision we were forced to make in recent years. Behemoth is known for not canceling any shows or tours. But this is not something we can do when we are missing our driving force, the man behind the drums - Inferno. Unfortunately, he was hospitalized due to appendix surgery and ti's gonna take him a few months to fully recover and get back to shape. We are trying to save selected European Festivals with a fill-in-drummer, but we won't be risking doing a full-on prestigious tour like Rockstar Energy Drink Mayhem Festival without Inferno. Behemoth is a solid unit and any part of this unit missing makes us weaker, and that is not how we want to present our new materials to our fans. Please accept our apologies and be patient, we shall return to Europe (this fall) and US (early 2013) empowered and motivated as never before!"